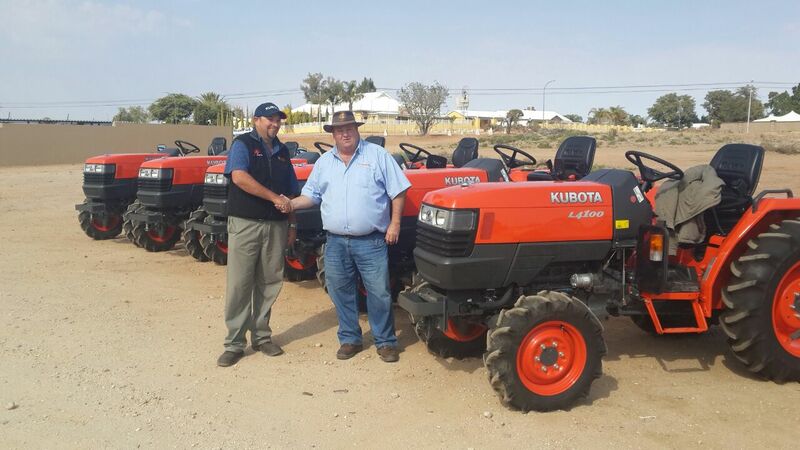 He adds that on top of it all not only was the price right, but also the service from Kubota agent WP Trekkers in Kakamas (a sub-dealer of Walkers Midas in Upington) has been excellent. “You can have the best machine in the world but unless you have the support from the dealer this would mean nothing. WP Trekkers service has been world class,” van Dyk says. 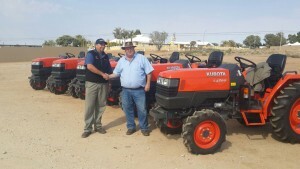 Walkers Midas, the Upington Kubota dealer, is one of the most successful equipment dealers in the country boasting many world-renowned brands in its stable. It is responsible for Kubota sales and support for a vast area in the Northern Cape. Chargo Trust took delivery recently of 6 x L4100’s, which will be used on the three farms in a variety of applications including clearing of vineyard blocks and the transportation of implements. 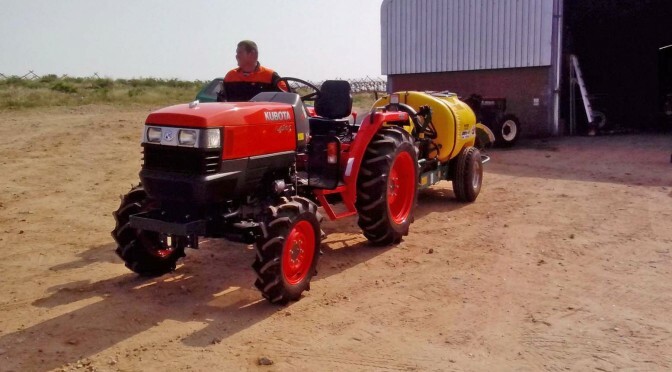 “Perhaps the most important application is the maneuvering of large agricultural spray pumps, for which the excellent Kubota PTO action is crucial,” van Dyk says. 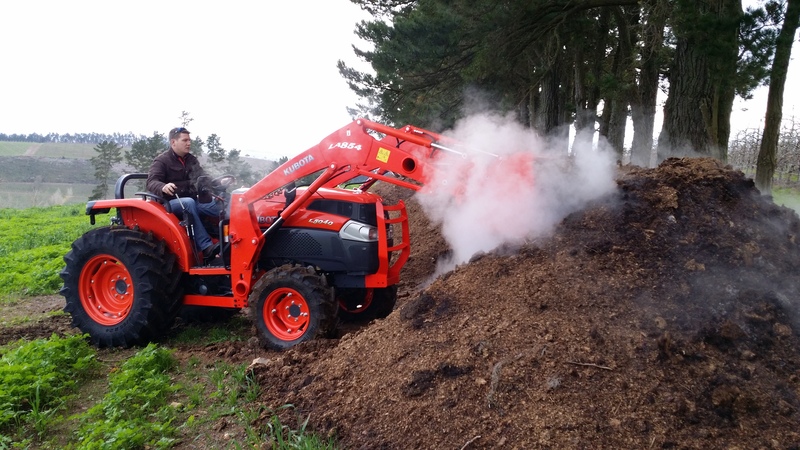 In fact Kubota’s PTO technology is one of the most advanced in the tractor world and includes the following unique features. P T O SYSTEM – the small operating lever is just under the steering column and is completely independent of the gear system. 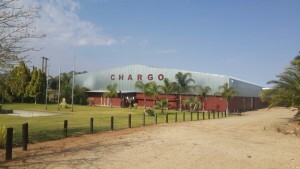 The separate multi disc wet clutch pack is unusually free of any snatching action due to the flow control of the operating pressure and the overrun braking system. 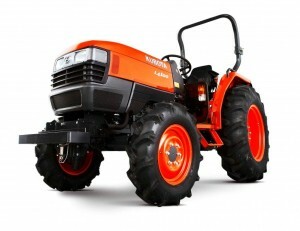 The Kubota L Series L4100 tractor is one of Kubotas best-selling models. Offering higher power and exceptional versatility, the 41.6HP L4100 is powerful, rugged and reliable. It utilises an 8 forward x 4 reverse speed transmission, with Kubota’s sliding gear range shift system to allow seamless directional changes between forward and reverse, which is especially useful when operating attachments while wet inboard disk brakes and a differential lock come standard. 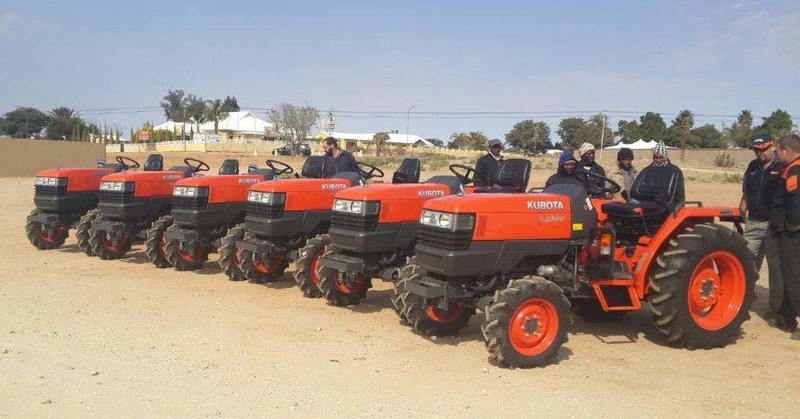 “We are very pleased to have changed to Kubota,” says van Dyk, “and we look forward to many years of efficient operation with them,” he concluded. Download the Kubota L4100 Brochure.